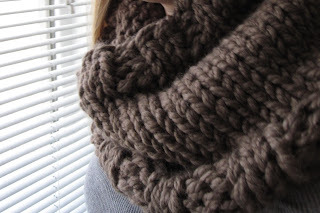 This super rad cowl is knit from a Lion Brand Yarn pattern – the Dobbs Ferry Cowl. 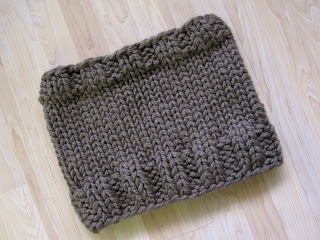 I used Wool-Ease Thick and Quick (triple stranded) in mushroom. love all your knittings! Some of the best work is done while in the car! Simple happiness. Those look so cozy and warm!! It could still be chilly enough to wear all of them, you never know with the crazy weather! swoon...love it and GIRL I was just thinking about switching my blog back to one column today!! 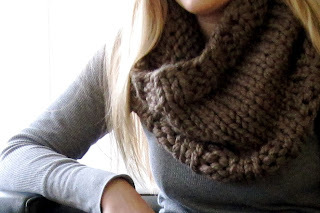 I need to get back into le knitting! My needles have been collecting dust lately. Love your new blog look - very clean and crisp!